With the London Ontario craft beer scene getting slightly better every day, here is some news to make all beer loving Londoners very happy. 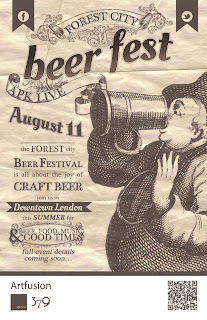 The Forest City Beer Festival is set for Saturday August 11th from 4:00pm - Midnight the APK Live at 340 Wellington St. (Corner of York & Wellington) will host what we are hoping is an annual craft beer festival. Admission is $15 and includes take-home sampling glass as well as three beer tickets. The event in the art-centric space will also host a DJ and live bands to aid in entertaining the masses. With the menu and full music line up yet to be announced, the list of participating brewers is growing. Snowman - Gluten Free Beer making a special appearance!